Geoffrey Rush and Jai Courtney. Geoffrey Rush and Jai Courtney will star in Shawn Seet’s Storm Boy remake, with the film gearing up to shoot in South Australia in July. Rush will star as Mike ‘Storm Boy’ Kingley, while Courtney will play ‘Hideaway Tom’. Billed as a “contemporary retelling” of the 1976 film, Storm Boy‘s script has been written by Justin Monjo (The Secret Daughter, Spear). “One of the better scripts I’ve read in a long time, whether Australian or otherwise. Absolute cracker,” he said, while also noting director Seet (The Code, Deep Water) had a great vision for the film. Storm Boy will be produced by Ambience Entertainment’s Michael Boughen (Tomorrow, When the War Began, The Loved Ones) and Matthew Street (Tomorrow, When the War Began, The Bank Job). Finance has come from Screen Australia, the South Australian Film Corporation, Piccadilly Pictures and Aurora Global Media Capital, and Salt Media and Entertainment. The shoot will take place in SA’s Coorong region and Adelaide Studios. 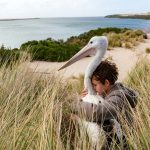 Storm Boy is set for 2018 release in Australia and New Zealand via StudioCanal, while Kathy Morgan from KMI is repping international sales.